We are located in the center of beautiful historic downtown Delaware, Ohio just north of William St. We are Delaware County's #1 source for a wide variety of athletic apparel, specializing in running shoes and apparel. We also have shoes and apparel for soccer, football, baseball, softball, volleyball, cheerleading, walking, and wrestling! In our store you will find all major brands including Nike, Adidas, Saucony, New Balance, Asics, Mizuno, Brooks, and many more! Ask us about team pricing! 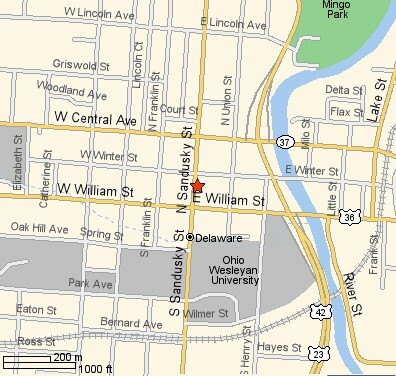 Address: 28 N. Sandusky St.